This is a crosspost from ICENet blog. In our last post we discussed the concept of rhizomy. It is worth noting there is no such thing as a rhizogogy or rhizomatic learning theory (at least not yet!) but in this piece we will explore how rhizomy may apply to medical education. We acknowledge the work of Dave Cormier in influencing our thoughts on this. Rhizomatic knowledge/learning has been bouncing in and out of mainstream educational circles, including medical education, for the last 10 to 15 years. Inspired by the ideas of Deleuze & Guattari, rhizomatics is a post-modern philosophy adopted as a retrospective explanation of multiple distributed organized complexity systems, such as the internet, social media or neural networks. Current learning paradigms would probably place rhizomatics in a constructivist and connectivist framework, with the learner being very active in the learning process but influenced by the involvement and contributions of others. The main difference between rhizogogy and other constructivist models is the lack of a central figure verifying knowledge or modeling it against a curriculum. A learning model based on the rhizome implies that the connections are as meaningful as members. The validity of the knowledge managed by the group is not achieved by experts comparing to an accepted discourse, but negotiated among the community, focused on the meaning and the usefulness of the data to the group and its goals. Clearly for those familiar with a traditional educational hierarchy this may cause some discomfort. It is assumed that the dynamic and engaging nature of the community is what makes it so popular. The ability of the community to appropriately judge the validity of knowledge is questionable. This is true if we accept the learning process as a unique event, but the rhizome functions in an evolutionary paradigm where learning experiences are rapid with instantaneous feedback, allowing the community to make corrections quickly, based on (multiple) trials and errors. Evaluative components are not contained in a rhizome. The validity of the outcome is derived only from the perspective of the community. Therefore, external verification system is required to determine the validity of the learning products of the community. The Curator is the scaffold of the learning process. By sharing, editing, changing and negotiating previous knowledge and by modulating the interactions of the group, the curator is able to change the meaning and the goals of the community. The curator ensures the Curriculum remains a unique aspect of a rhizomatic learning system. The curriculum is created by the community. No internal or external force validates the information or structure of the rhizome. External data is incorporated as intrinsic knowledge, focused on what is helpful and appropriate for the current needs of the group. The curriculum depends on Collaboration. This process is based on a non-hierarchy model, where all members and relationships in the community have the same a-priori value. In a true rhizomic process, individual curators are no more or less valued by others. (In practice this may not be the case – see the next post for an expansion of this issue.) The value of members increases as a function of connections and not eminence. In an ideal rhizomatic model, a junior learner can and will teach a senior instructor, as long as knowledge and connection are appropriate. The collaboration occurs around Content created by the members of the rhizome. The creation happens without clear strategy, does not follow explicit guidelines, is heterogeneous and commonly addresses personal and community needs. The content is driven by an individual’s inner desire to learn and influence the community. The collaboration around content creates a Community that negotiates the knowledge and manages the meaning, while creating a common identity based on similarities. 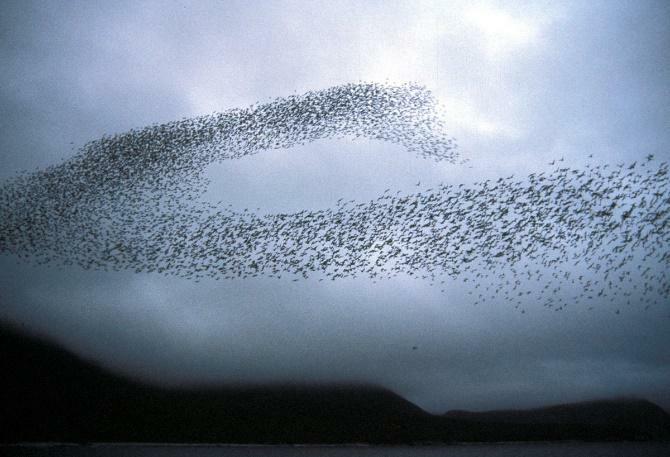 A community resembles a swarm, where the members interact fluidly and cohesively. Ultimately the community exerts some Control. This control is not understood as managing members or knowledge, rather it involves the determination of the validity of the group end-products and interaction with the world outside of the community. 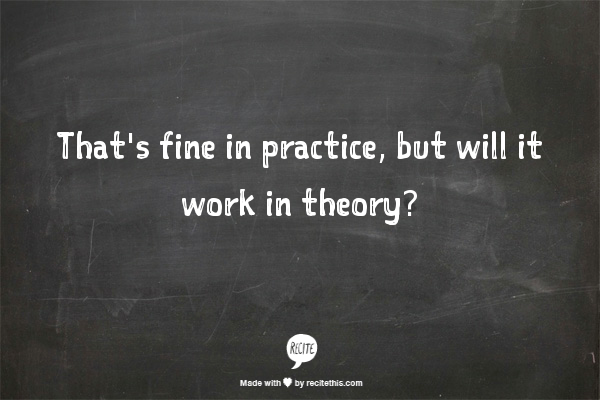 The theory and practice behind rhizomatic learning is unfinished and imperfect. However, it appears to appropriately describe the current disruptions in health professions education driven by learners who are increasingly digitalized and reliant on non-canonical sources of information and instruction. A complete theory is called for to describe large and complex phenomena happening around us. More on that to come! Kang DJ. Rhizoactivity: Toward a Postmodern Theory of Lifelong Learning. Adult Education Quarterly. 2007 May 1;57(3):205–20. Gregoriou Z. Commencing the Rhizome: Towards a minor philosophy of education. Educational Philosophy and Theory. 2004 Jul 1;36(3):233–51.